While enjoying a morning of stitching with the Toowomba Quilters Club Inc this morning I received a phone call from the EKKA. 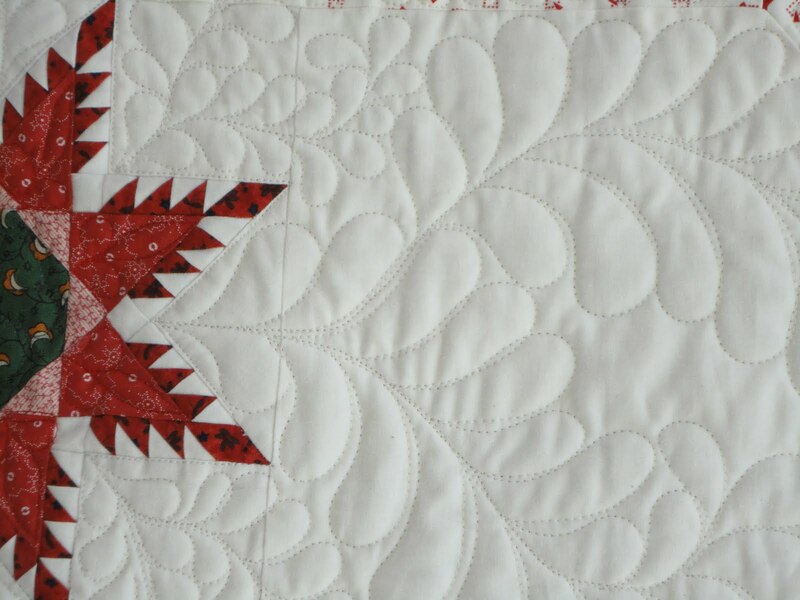 The quilt I had entered, "Featheration" was awarded second place in the Professional Pieced category. I was pretty excited. Even more so when I found out who the winner quiter was. It feels good to be recognised for my work. 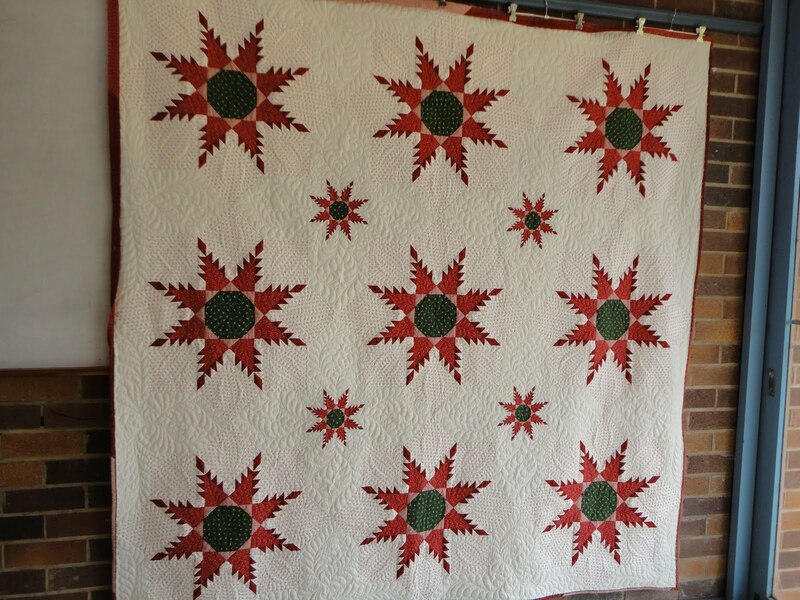 A traditional pieced Feathered star that started out as a one block quilt, but I enjoyed the piecing process so much that I made nine large pieced stars and then four Foundation pieced 8" stars. Those tiny ones took me five hours each to piece!!!! Most of the piecing was done on one of my trusty Featherweight machines so the name of the quilt has many connotations. Of course with a name like Featheration I then quilted it heavily with feathers.